I'm absolutely delighted that you've booked me to be your wedding photographer, I value every wedding story that I am priveleged enough to capture and every couple that connects with my photography. If you need advice, tips, my opinion or even a sounding board, I'm here. There's not much I haven't seen or heard over the last 4 years of weddings! I am officially 'unflappable' and will be the voice of impartial reason when you need me. I'm usually pretty good at letting my couples know when i'm away and I might not reply within minutes, but as soon as I can, I will! If you've booked a package with a pre wedding adventure session please get in touch to book this in at least 12-16 weeks before your wedding date. It's harder to pin me down in peak season April-October & December so please bare that in mind. I won't book one the day before or after a wedding or on bank holidays. Pre wedding shoots are held Sunday-Thursday unless otherwise specified in our communication. Around 2 weeks before your session you'll get a nifty little reminder from me and a little bit of info on what to expect. If you haven't booked a pre-wedding session then relax and enjoy the planning! You'll know from your contract that the full balance owed is due 6 weeks prior to your wedding date (or if you booked in 2017 1 calendar month) you can expect a reminder email from me around 7 days before it's due, this will also contain a link to a questionnaire so I can create your all important wedding timeline. You'll also get a link similar to this after your final payment is received with some tips, quips and information about wedding days in general. Of course, every day is unique but i've managed to chalk up quite a few of them in my time and have since realised it answers most of the questions i've been asked! I will create the timeline with the questionnaire answers and email you this at least 14 days before your wedding day- this way you can share it with any suppliers & family and friends who'd like to see. It doesn't take much to keep me happy! Little things like keeping me in the loop, if there are surprises in store let me know, if you don't know (because it's a surprise duhhh) let your designated wedding helper know who your photographer is so they can give me a little nudge about whats to come. I can only do what I can, to get the best from me on your day helping your guests to understand that you are investing in your memories is a good idea. There I am in the red scarf attempting to work whilst being leaned on from every angle, I only spoke up when I realised my head was being used as a tripod! Let your family know who YOU booked, who you chose to shoot your important day. Let them know I photograph naturally and that there isn't any stiff posing or bossing. Tell them i'm friendly, respond well to a coke (NOT DIET), I love a dance off and I want to capture them in all their glory, emotions and all! None of this "CHHEEEEEEESE" business! If I see the Chandler Bing smile I'll snap it but i'd rather they were real haha! Whilst I pride myself on melting even the coldest of ice queen's, giving people a heads up of what style of FUNTOGRAPHER you have booked will help them to relax and everyone likes a little preparation. I capture emotion, all forms. The couple shoot can get intimate because I want you to feel what I'm seeing. LOVE. Otherwise I'm purely documentary. Yeah i'll take that photo of Aunt Ethel eating a sneaky kebab delivery or your cousin Rick trying to access Sky Sports during the speeches. On the day it goes by in the blink of an eye, I always find myself reminding people to soak it all up as I often receive a message regarding the 'wedding blues' it's such a big build up and all that hard work comes together. Enjoy it, savour it and i'll capture it. Don't worry, I go into more detail in your email a few weeks before. Most of you will be reading this with a year to go, so there's really no point in overloading your plans! I usually start capturing 1.5-2 hours pre ceremony, it's so important to the story and I end a few dances after first dance. I take a break for a drink, when I need one, same for the other essentials. I stop for my real meal when you do and I always appreciate a hot meal. I work so much better than on a sandwich! You two! What the whole day is about! Everything else is natural, in the moment and honest. If you have a first dance then i'll be there if your package covers it & I want everyone on the dance floor after! I love natural laughter, snorting and everything else that comes with true happiness in a moment! While you head off on your honey moon or enjoy the post wedding congratulations, i'll be busy backing up your images and posting a sneak peek to my blog, if it's super busy and you don't get a message to say they are on the blog don't fret, i'll Instagram/Facebook or post it somewhere and tag you! I take great care in post processing my images, I don't outsource anything and edit everything myself in a consistent way, each wedding looks slightly different, that's because they are. Different venues, colours, light, weather, all of it will reflect differently in imagery, but my shooting style and editing style will always be mine. Spilled drinks, triple chins, trips, falls, split pants, drunken antics, duck face. All of it- I'll capture it all and present it- because it happened, we are human, life is real and beautiful, raw and short. I'll get the good & the bad. It's a real wedding, so you'll get an honest representation of your wedding day. Trust me, you'll look back on those images that don't look "magazine pretty" and they'll be the ones you laugh at until you cry! They'll definitely be the ones I use and make my heart totally happy. I shoot real people. We live in the UK. It rains, a lot! If it rains- embrace it. The dress is going to get filthy on the dance floor anyway! Do you know how romantic a couple in the rain looks? A couple in wedding attire in the rain??? It's the stuff of film dreams! Natural outdoor light is always going to be better than indoors, so if for nothing else, join me out in the rain for your couple session <3 Pretty please, you'll thank me later. Within 12 weeks you'll receive an email from me with your download pin, login details and link to your private online gallery. You can share this login with as many people as you like, it's up to you, as long as they have the password they'll get access for a year after your wedding too. The gallery is attached to a professional print lab, so while you can download and print as many as you like, you have the option to order them direct from there, they are great quality and that's why I chose them. You'll receive some sort of print gift from me in the wait for your wedding images, this will give you a better idea of what the products are like. 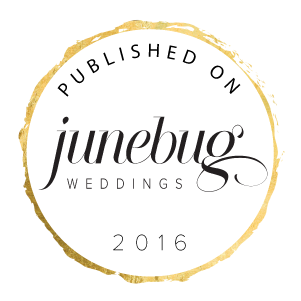 I usually blog the odd wedding (more than a sneak peek) but to be honest, I have blogged maybe 5 or 6 times in 2017? I'd rather spend my time on making my clients happy than blogging and sometimes I run out of time. You'll know if I blog yours though! 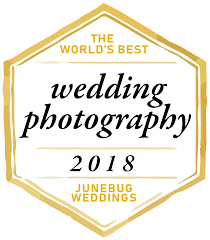 On occasion wedding publications might see my images and previews and ask to publish your wedding- this is a mega huge exciting honour but I can't guarantee it. What they want is ever changing and every blog is different, but again, if it happens you'll be the first to know that news! That's my queue to wrap it up, you know my name, you know my number and you can practically follow me everywhere! I am so excited to be on this journey with you, I can't ever express how much it means to me but it's a lot and I really did do that sort of dance!